Do you have Latte Love? 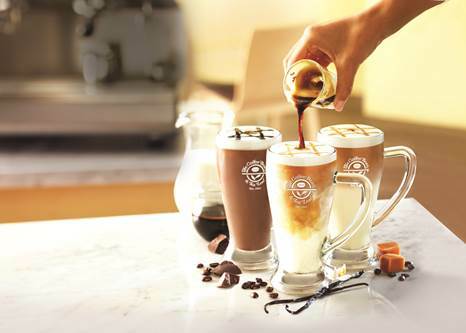 Coffee Bean & Tea Leaf are hosting Latte Macchiato Mondays. On January 13th, 20th and 27th, customers can enjoy a small Latte Macchiato for $2 after 10am at participating locations. The celebration is to introduce coffee lovers to their new Latte Macchiatos, the company’s latest line of espresso-based beverages. Now through March 2nd, customers can enjoy three varieties of the new caramel, vanilla bean or dark chocolate beverage. The new beverage is made with whole milk and the choice of caramel, vanilla bean, or dark chocolate sauce, topped with foam and a drizzle of sauce. A shot of espresso is then poured over the top to “mark” the beverage. Mark your calendar for this special dates to try this new beverage at Coffee Bean & Tea Leaf.